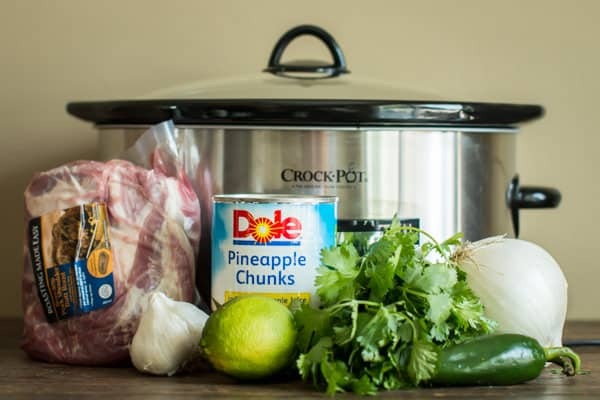 These Slow Cooker Pineapple Jalapeno Pork Tacos are a perfect blend of sweet and spicy, and who doesn’t like pulled pork?! 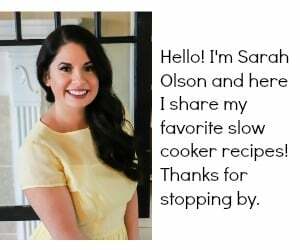 How many ways can I make tacos in the slow cooker? 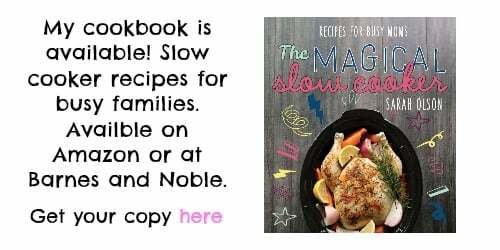 I probably could just have a blog called Slow Cooker Tacos. That actually sounds like a good challenge LOL. I won’t post back to back taco recipes here I promise. 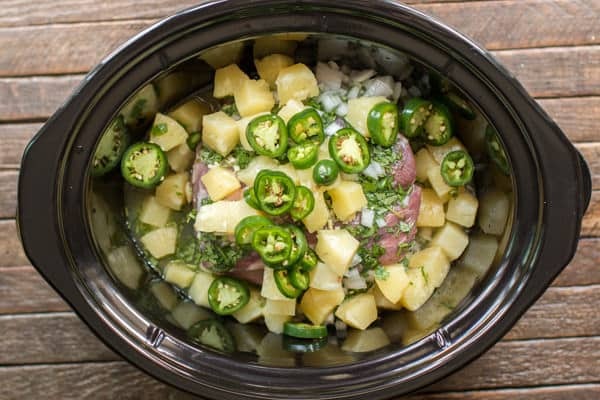 This recipe for Slow Cooker Pineapple Jalapeno Pork Tacos is great because it has heat, but also sweetness to cut the heat down. 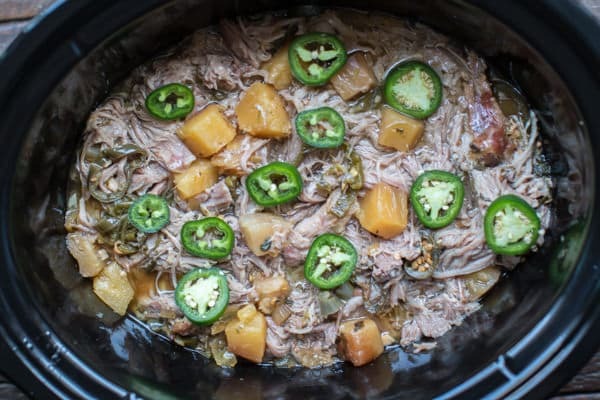 I love the shoulder cut of pork, if it came down to it and I had nothing to add to a pork shoulder in the crock pot, it still would turn out delicious. Besides the can of pineapple, everything in this meal is fresh. You could very well add fresh pineapple to this if you want though! After chopping a few veggies, I throw these ingredients in the crock pot. 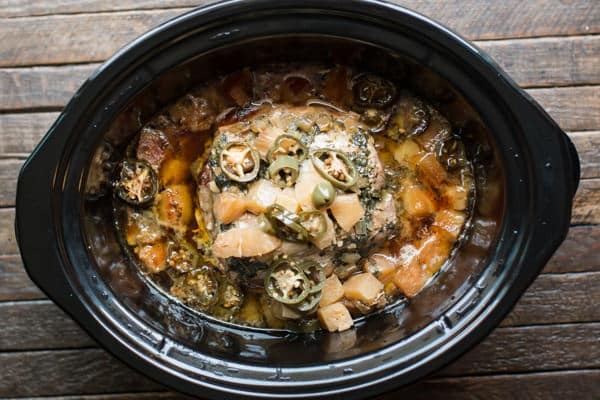 There always a big debate on whether you should brown a roast before adding to the slow cooker. I do it sometimes, depends on my mood and if I have time. Brown the meat if you want, or don’t if you are lazy like me. After 9 hours on low, this is what the pork looks like. 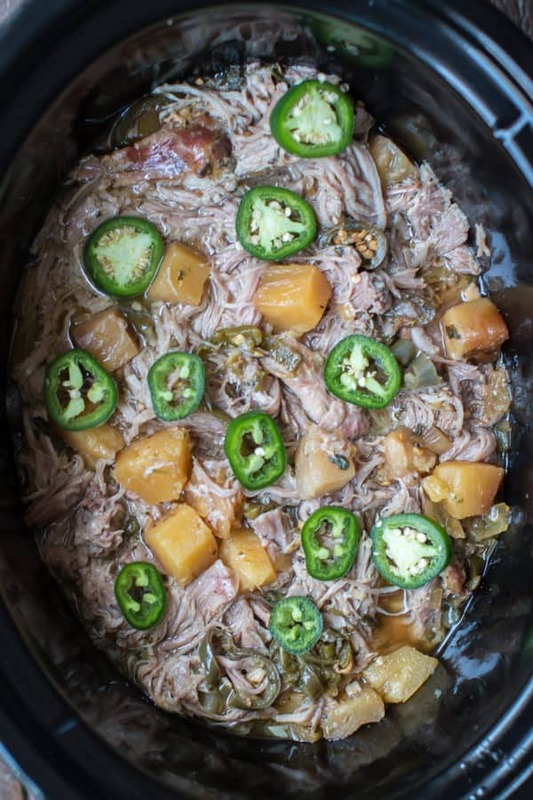 Shred the pork with 2 forks, I do the shredding right in the slow cooker. 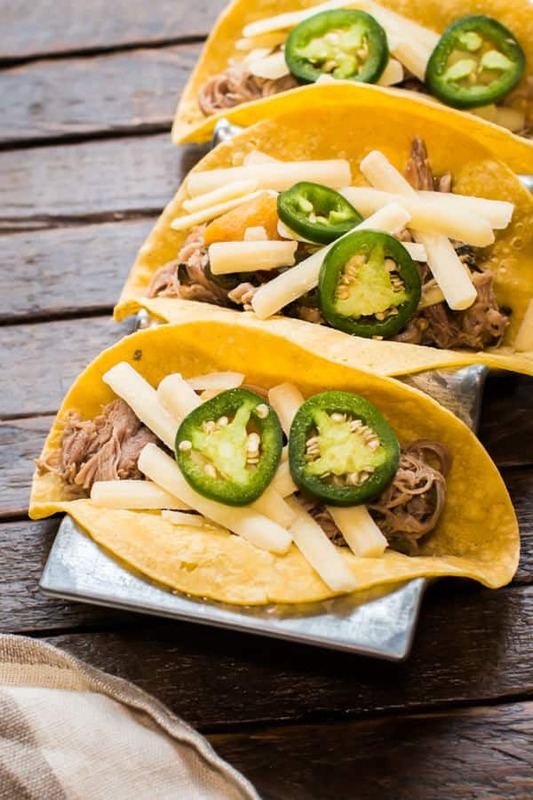 I served the shredded meat with more sliced jalapenos and shredded white sharp cheddar. I was kicking myself that I didn’t pick up jimica, they actually sell it already sliced at Trader Joe’s I saw the other day. Below is my YouTube video of this easy meal. You can follow me on YouTube, here. 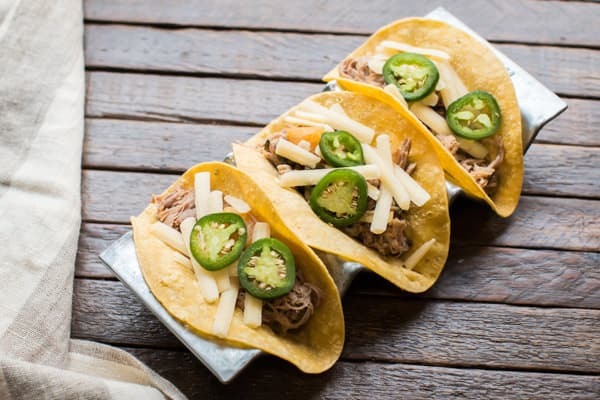 I hope you needed another taco slow cooker recipe because this one is AMAZING! Warm up some corn tortillas after work and dinner is ready to be served. Have a great week! jimica would be good too! Add the pork to the slow cooker sprinkle over the salt and pepper. Add the garlic, cilantro, onion, pineapple and it's juices and jalapeno. 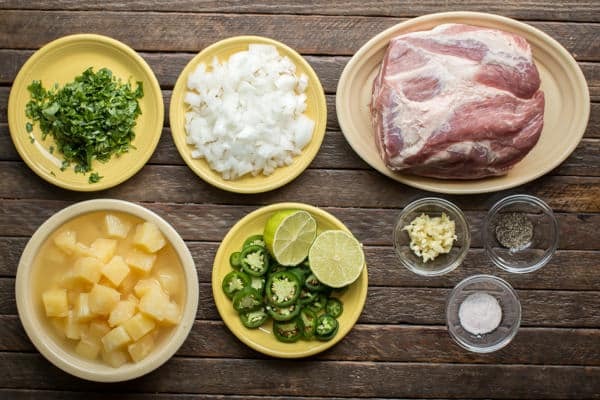 Cut the lime in half and squeeze over the pork and other ingredients. 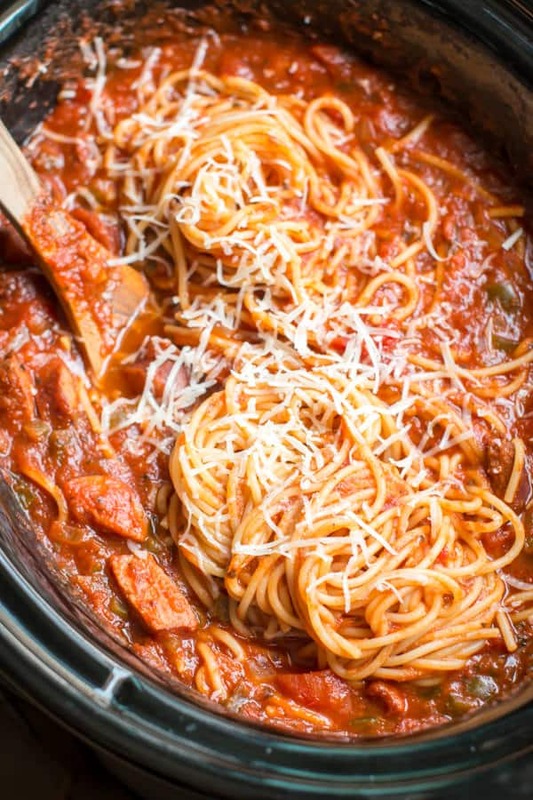 When the cooking time is done, shred the meat with two forks right in the slow cooker. Discard any fatty pieces. Serve on warmed corn tortillas and add desired toppings. 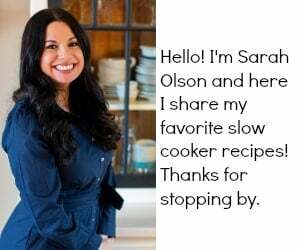 I used my 6-quart Crock-Pot® for this recipe, any slow cooker 5-quarts or larger should work fine for this recipe. Im running short on time, I’m wondering if it would work as well on high for 4.5 hours? I would do 5 hours and don’t peek at it at all. Should he fine. Made this overnight. Delicious! Used a bag of frozen pineapple I had on hand and since it was a 5lb roast I used all 16oz of the fruit and 3 jalapenos. The chiles were hotter than usual but makes for great tacos! You could also remove the cooked meat, shred it, and then brown the shredded meat on a cookie sheet. Put the browned shreds back into your yummy sauce for a bit and then serve. 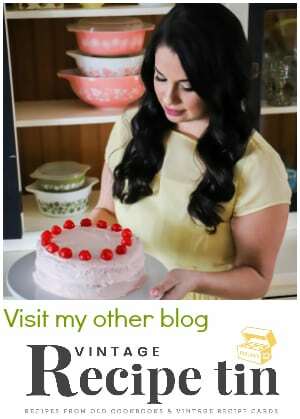 This recipe sounds yummy, and I’ll be using it soon.